Hey! Who's coming to Warped Tour this summer? We'll be on the ENTIRE tour so come check us out! 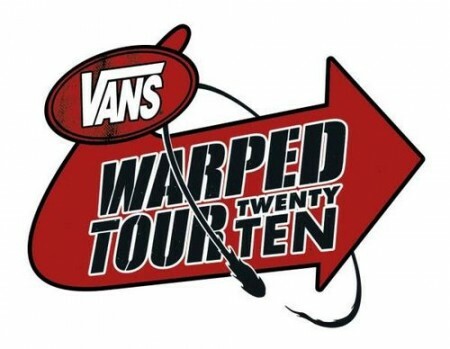 If you haven't purchased your tickets yet you can buy them on the Warped Tour website. Breaking Billboard Magazine's Top 200 Chart! 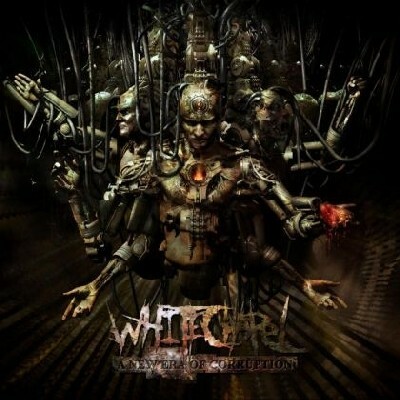 Knoxville, Tennessee's Whitechapel is pleased to release the cover art and track listing for their third full-length release, A New Era of Corruption due out June 8th via Metal Blade Records. "The album is finally 100% complete and we couldn't be more excited. I think this record truly represents where we are as musicians at this point in our career. A New Era of Corruption is the heaviest and most aggressive material we have written to date," comments guitarist and founding member Alex Wade. Alex continues: "Some of you may notice that the title of the new record, A New Era of Corruption, is a line from the song 'Possession' off of our last album This Is Exile. We wanted to name the CD this to bring a little flavor from 'This Is Exile' into the new CD, as well as I think the name represents this new age of extreme metal that we are currently rising in. The album is not a concept record like This Is Exile was. It just has its own general theme and each song deals with its own topic track by track." Press Release: Recording a new album in 2010!! Just home from touring with Trivium and Chimaira and closing out an extremely busy and successful year, Tennessee’sWHITECHAPELare now set to head into the studio December 27th to January 31st with infamous metal producerJason Suecof(Trivium, All That Remains, The Black Dahlia Murder, Chimaira, DevilDriver and many more).WHITECHAPEL are set to record the follow up to the band’s crushing Metal Blade debut, This is Exile, at Jason’s Orlando, FL based Audiohammer Studios.Be sure to stay tuned to Whitechapel’s and Metal Blade’s sites as more information regarding guest vocalists, studio updates, and video updates will be posted throughout the band’s recording process.